Got second oil change a few weeks ago at ~12,000 miles, triggered by car alert. Interval was way shorter than my 2012 GT. 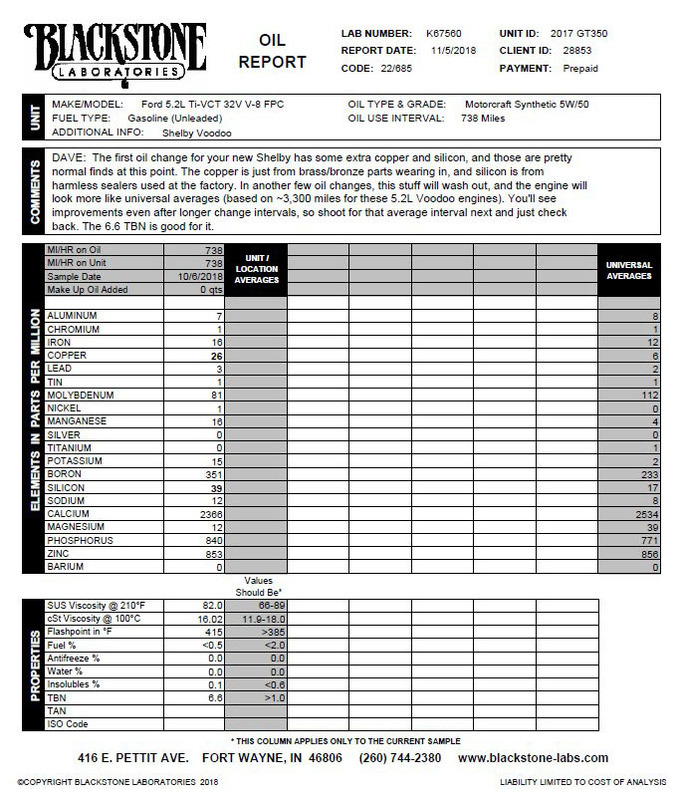 So I ordered an oil analysis. Results interesting. Main interest, the viscosity/additives were still good. As I expected. However, the lab said there were still break-in metals in the oil, so extending use not a good idea. They also pointed out it could create warranty problems, not changing oil when indicated. So, assuming my change rate continues at about 6,000 miles, I expect I'll hit 24,000 as warranty expires. I'll get another analysis then. I expect then that I will start extending miles between changes. Good path. I’d certainly trust the analysis over the indicator on the car. The indicator uses preprogrammed algorithms and has no clue what the condition of then oil is. "The indicator uses preprogrammed algorithms and has no clue what the condition of then oil is." True. Tech told me that my driving habits could be the problem. I use the car as a daily driver, and most of my mileage is from short trips, <10 miles. Indicator programming may consider engine not heating up fully a problem. I just got my results back from blackstone the other day. First oil change, 2500 km on it, cold sample. Everything within reason except copper and silicone. That’s to be expected with break in time m told by them. I’ll send another sample next fall. My cars only for weekends, plus a long road trip.. Here's mine from 2nd oil change at 6327 miles. Blackstone shows aluminum a little high. 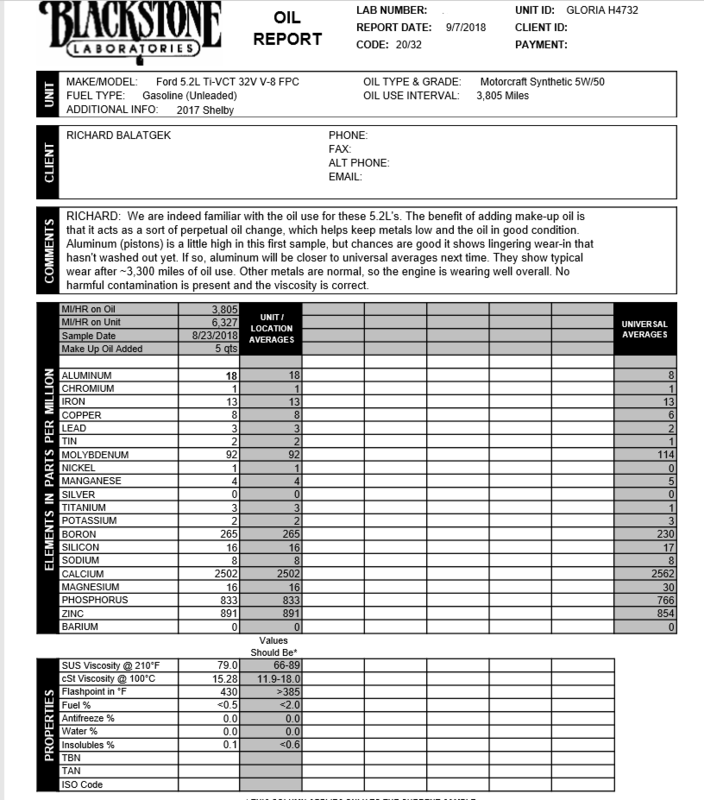 Analysis from my initial oil change at 738 miles. Next time I'll order TAN as well.